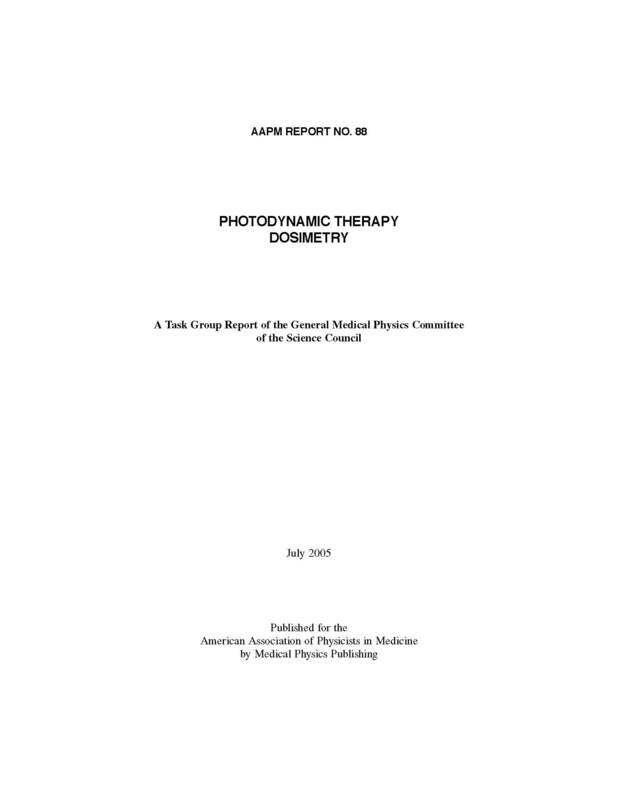 Photodynamic therapy (PDT) is a light-activated chemotherapy in which light is used to activate a photosensitive drug that has accumulated within cells such that it causes oxidative injury to the cells. Unlike traditional chemotherapy, which has a systemic effect, PDT achieves a localized effect. In this sense, PDT is more like a surgical or radiation therapy technique than a chemotherapeutic treatment. The basic ingredients for a successful PDT treatment are: (1) drug, (2) light, and (3) oxygen. As shown in Figure 1a, the photosensitive drug is activated by absorbing a photon to achieve its activated state. The activated drug then reacts with molecular oxygen dissolved in the cellular interior to create radical oxidizing species, usually singlet oxygen. The oxidizing radical then attacks structures of the cell via an oxidation mechanism to cause injury. Such injury may lead to cell death via coagulative necrosis or via apoptosis, depending on the choice of photosensitizing drug and the amount of drug and light administered. PDT is a light-activated chemotherapy. A photon is absorbed by a photo- sensitive drug that moves the drug into an excited state (see Figure 1b). The excited drug can then pass its energy to oxygen to create a chemical radical called “singlet oxygen.” Singlet oxygen attacks cellular structures by oxidation. Such oxidative damage might be oxidation of cell membranes or proteins. When the accumulation of oxidative damage exceeds a threshold level, the cell begins to die.